While some therapies will focus on ‘how’ to address current blocks or difficulties you are facing, psychodynamic psychotherapy concentrates on the question of ‘why’. Why do I feel like this? Why am I experiencing these difficulties, and why now? Through examining ‘why’, the therapist aims to help the client bring meaning and understanding to their experience. Gaining new self-knowledge and understanding can offer welcome relief and the possibility for new ways of being to emerge through the therapeutic process. However, this is not always about gaining gems of insight. What may also be experienced through psychotherapy is a feeling of being understood. We have a fundamental need to be understood, to have our feelings validated. In healthy childhood development, a caregiver is available to receive our communications, helping us make sense of the emotions we experience as babies, providing valuable early experiences of being understood. When these early experiences are limited or interrupted, perhaps because our caregivers were preoccupied with external stresses, depression, or were otherwise limited in their own physical or psychological resources, we may lack these early formative, relational experiences. Now, in the present, another mind actively engaged in making sense and understanding us forms an essential part of the healing process in psychotherapy. 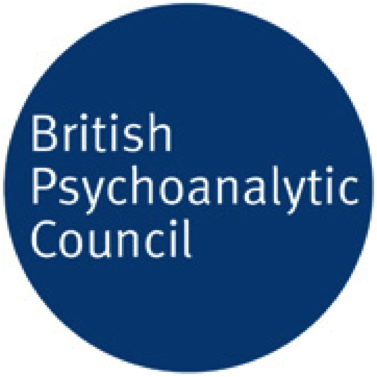 How might a psychodynamic psychotherapist help us make sense of our difficulties? The term 'psychodynamic' is rooted in the notion that we are consciously and unconsciously in relationship with others in our external world, as well as between different aspects of ourselves in our internal world. When we say, "I don't know what came over me", we are referring to the conflict between the aspects of ourselves we are comfortable acknowledging and the aspects of ourselves we prefer to distance ourselves from. What we bring to therapy may be driven by our external world and what is happening around us now. However, psychodynamic psychotherapy also offers a space to explore our inner world, those parts of ourselves we have needed to keep hidden and those parts of ourselves we have not yet had the opportunity to know. Free association, a technique advocated in the early days of psychoanalysis by its founder Sigmund Freud, whereby the client is invited to put the notions of ‘nonsense’ and ‘rationale’ to one side and say whatever comes to mind, remains a valuable tool of exploration within psychodynamic psychotherapy. Not all clients feel comfortable or able to engage in free-associating. Indeed, our conscious minds are actively engaged in resisting such a task! However, if we are able to develop a feeling of safety and trust in our therapist, hidden fears, fantasies, past hurts and problematic relationships can be sensitively explored, opening an avenue into knowing those parts of ourselves that have remained unknowable. A psychodynamic psychotherapist will be listening on many levels. With an interest in your internal world, not only will the therapist hear what you are saying - your conscious material - she will be alert to cues from your unconscious: what you are not saying, what you are struggling to say, how you are feeling and even how you are ‘not feeling’. The psychodynamic psychotherapist will avoid imposing their needs and wishes onto the session. 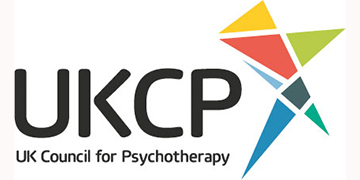 While actively guiding the session is necessary and helpful in goal-oriented, structured therapies, within open-ended psychodynamic psychotherapy, structure and advice may hamper the crucial listening process and negate what lies at its heart - a space where one can begin to know and accept oneself through exploration. Our past is alive in our present. In that sense, patterns of relating and past traumas and conflicts influence our current relationships and behaviour. This includes our relationship to our therapist. In psychoanalytic theory, which forms the basis of psychodynamic work, this is known as transference. It may be helpful to think of this as an internal map developed through our early relationships. The psychodynamic psychotherapist is mindful of how the client relates to their therapist and how they experience this relationship, making sense of this in light of the client’s relational ‘map’. Let’s imagine a client who describes an absent-minded partner. He feels angry and let down, but unable to express this. Over time, his therapist begins to sense he is feeling disappointed in his therapy. Through exploration, she realises that her client is experiencing the moments when she is silent, not as an active listening and invitation to talk, but as an absent-mindedness. She has also, unwittingly, been letting him down. In talking this through, the client realises he experienced an absent-mindedness in his earlier relationship with a depressed caregiver. This experience has become imprinted in his psyche so that, not only does he interpret his close relationships through this prism of absent-mindedness, but he unconsciously invites those closest to him to reenact this drama. As Freud explained, what cannot be consciously remembered may be repeated in the present. This repetition, if noticed and handled sensitively by the therapist, can shed light on the client’s difficulties, helping a re-evaluation of interpersonal relationships. With our fictional client, addressing those feelings evoked through the therapeutic relationship - his frustration and disappointment at his therapist’s apparent absent-mindedness - may enable him to address these difficulties with his partner, developing a new dialogue and opening the door to new ways of relating. No one approach is right for everyone. Equally, no one approach is necessarily right at different times in one’s life. You may find that, in your twenties, you need a structured, solution-focused approach to help you through a particular crisis. Yet, following a bereavement in your thirties, you begin to re-evaluate your life and find an explorative psychotherapy feels more helpful. The questions to ask yourself are these: Does this feel right for me now? Am I curious? Do I want to better understand myself? If you feel drawn to this particular approach, the best way to decide whether it is right for you is to meet a qualified and registered psychotherapist for one or two sessions, to get a feel for it. A professional psychotherapist will listen, assess your current needs and support you to make this decision for yourself before making any commitment, directing you to find alternative help if this is felt to be in your best interests. This article was originally published here on Welldoing.org.